The shape and balance of mooku's fan design make it one of our favourites! The sweet, cheerful colours are sure to reflect in your mood! The Fan necklace is handmade from beautiful wood. 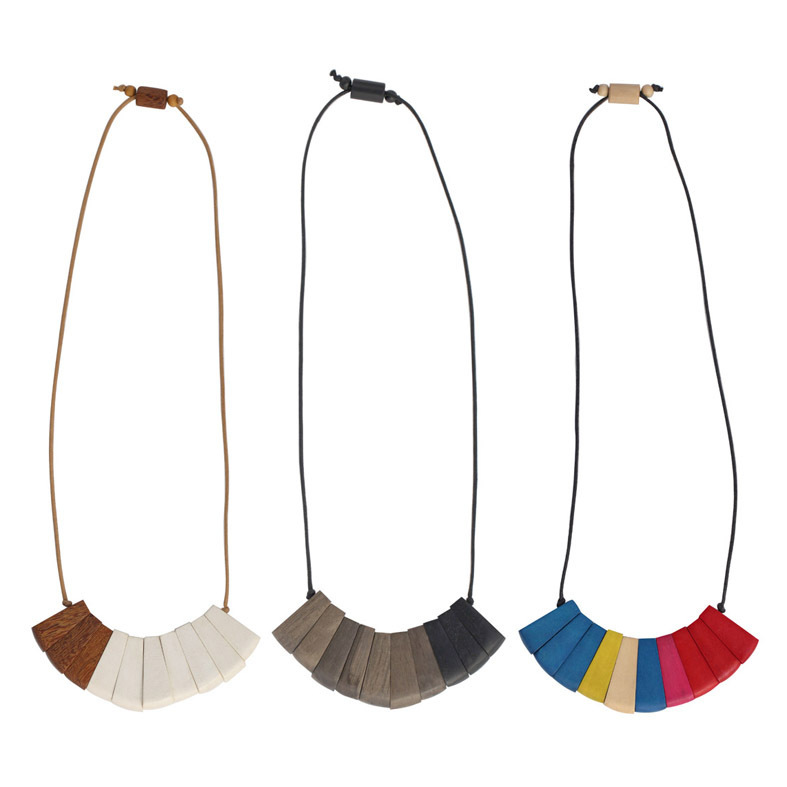 Each part of the necklace is cut and sanded to a smooth matte finish. With an adjustable toggle the necklace can be worn long or short.